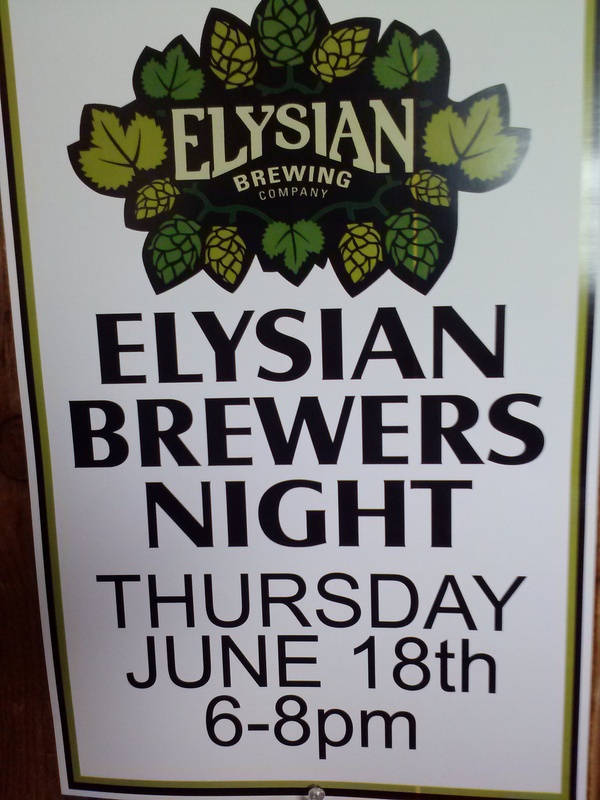 Elysian Brewery here tonight 6pm! Space Dust. ..Super Fuzz…amd Loser on tap with great food and cool raffle prizes! 6pm to 8pm!